One of the foundations of our business is using advanced simulation tools to solve complex problems quickly and efficiently. This product testing automation project required an expansion chamber that maintained a constant flow through the donut shaped test station. 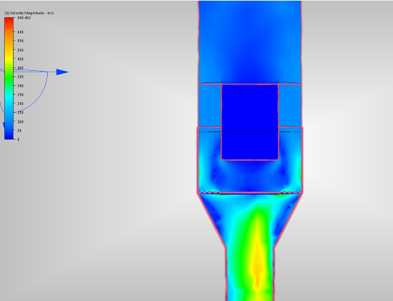 Using Computation Fluid Dynamics (CFD) we were able to test 11 different design options in an afternoon to develop the optimum solution.